Can you imagine celebrating the Christmas season without music? We can't. Certain holiday songs envoke deep-rooted memories of our childhood yuletide. Yet, if you are a music connoisseur, it's often hard to find the really good, non-cheesy, indie quality "gourmet" holiday music that's released each year. It's becoming even harder to find as artists are more frequently releasing holiday singles, EPs, and LPs without much fanfare or promotion - sometimes even unannounced. Well, UTR is here to help! We have hunted to find the really, really good stuff. Now, we are pround to present the 6 Best Christmas Albums of 2015! This beautifullly-crafted Christmas EP quietly released to the public on November 27. 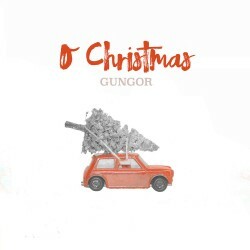 In typical Gungor style, these songs have top-notch production, a wide range of instrumentation, and intriguing orchestration. The unsung hero (or actually the "sung hero") of this EP are the gentle and passionate vocals from both Michael and Lisa Gungor. Three of the tracks are remakes of classic carols, but they wisely chose ones that make a good meloncholic match for the yearning vocals (O Come O Come Emmanuel, O Holy Night, Silent Night). The two originals are fantastic as well. O Christmas is the best new holiday release of the year. 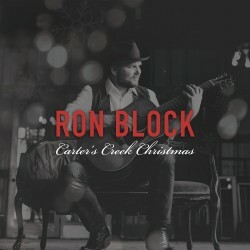 In mid-October, Ron Block released the critically-acclaimed new instrumental album Hogan's House of Music, so I think it surprised a lot of people that Ron released yet another instrumental album on November 27 - this time full of acoustic renditions of Christmas classics. He recorded the album using only vintage guitars from the 1930s, 40s, 50s, and 60s. These songs have an Appalacian flavor, but carry a timeless quality, making it one of the most enjoyable listening experiences, and an album you can have on repeat for the next 50 Christmases. We don't usually tout instrumental albums, but this one is just that freakin' good! This Dove Award-winning artist is most known for thoughtful piano-based songs of spiritual contemplation, and Ginny Owens delivers more of what so many love about her. This 4-song EP has two originals that tow that fine line of indie authenticity and radio-ready production quality. The two holiday remakes are hit-and-miss... more specifically, "Rudolph" seems a little out of place on this EP. It's performed well, but if American Idol Season 7-ish taught us anything, song selection is crucial. The "hit" is Ginny's version of "Christmas Time Is Here," which has a classic jazz feel that fits like a cozy mitten. Years ago, Trent Monk was a part of the critically-acclaimed acoustic duo Monk & Neagle. 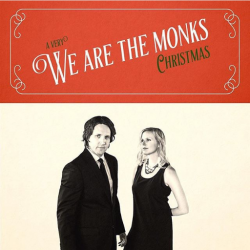 Now, his duo partner is also his life partner, as he and wife Shellie form We Are The Monks. This 5-song EP is their first holiday release, sharing one new original and four updated carols - with the most breathtaking track being "O Come, O Come Emmanuel." Their harmonies and acoustic band arrangements are spot-on perfect. The Monks are also experiencing a personal advent too as they announced that they are expecting their second child, a baby girl, in 2016. This band is born out of the artistically diverse community at LaSalle Street Church in Chicago. The album blends a few different styles, but is predominantly indie-folk with heartfelt female lead vocals on each track. Most of the songs are originals, born out of the congregation's studies of Advent scriptures. Three of the nine tracks are updates of classic Christmas hymns, and all the songs share the common theme of trying to reflect the message of peace, love, and hope that was given through Christ's birth. At this time, this album is available as a free download on NoiseTrade. This 4-song EP is an all-original holiday release that is hot off the presses (releasing Nov. 30, the same day this article posts). It's a bit sparcer than we expected, but that may have added to the focus on the well-constructed lyrics. Nick and Stacy trade lead vocals on the odd and even tracks. It's mostly just piano and guitar on each song, which means that it likely captures what you'd experience if you had the good fortune of seeing Nick & Stacy perform these holiday songs live. 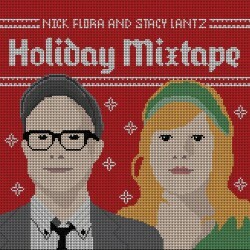 The standout track is "Mixtape," a musical presentation of a long-standing Nick Flora tradition, making holiday mix CDs for loyal fans. 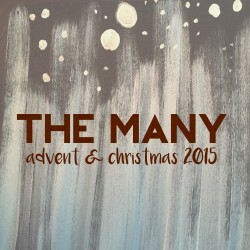 This list is hopefully a good place to begin your Advent music search... or at least a good conversation piece. So tell us below: (a) do you plan on trying any of these releases based on our recommendation, or (b) are there any high-quality 2015 Christmas albums that you'd like to add to this list? And don't forget, this week we will be releasing a bonus podcast edition of UTR (episode 331) which will count down this list and give you an audio taste of each! Good choices, especially the Gungor, We Are the Monks, and The Many releases (have not heard all of the above). I would add An As Isaac Family Christmas to this list. This EP has one original (“Shepherd’s Song”), a short instrumental, a nice rendering of “Little Drummer Boy, and a very imaginative arrangement of “Go Tell It On The Mountain,” with an original chorus called “God Is With Us Now” that really changes the impact and feel of this song. Tight vocal harmonies that are at times reminiscent of the Civil Wars, especially on the last two songs, make this an exceptional Christmas release. Currently only available at their website (http://asisaac.com). I haven’t heard all of these but definitely agree with Gungor and would add the Liturgists “oh light”. #1 best Christmas release of the year in my opinion though is “On a Christmas Night” by Found Wandering. It is very spiritual and the music is gorgeous. Thank you so much for compiling this list! Can’t wait to listen to each. And thank you Larry for the kind words about the As Isaac Christmas project! Thanks for including The Many on this list. Such great music in these 6 albums. Such great company to be in. Thanks for all the kind words. And by the way, included in the free download on NoiseTrade are lyrics to all the originals and sheet music to two of the songs. In case you want to sing along. “Heck Ya the Halls” - Latifah Phillips of Page CXVI and Aaron Strumpel - didn’t release their EP in time for this list, but I’m listening to the “Auld Lang Syne” rendition available on NoiseTrade, and it’s got a great bluesy feel to it. Aaron plays a little bit of jazz trumpet and Latifah joins on the piano. They sound great together on vocals, as well! Thanks for this. The Ron Block stuff is a great find. Another one to check out, Barry Blair. He’s one of the original Audio Adrenaline guys, the guitar player responsible for a ton of their iconic songs. He has a jazz Christmas release that is worth checking out! Find it on itunes.